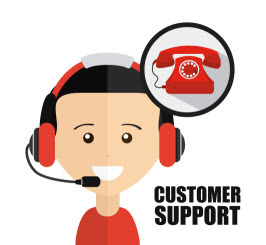 Whether you run a small, or large call center the blood of your center are your agents. Your goal as a leader is to minimize turnover, and to ensure when you do hire you are getting the best you can get. Having led my small center for the last 9-years I’ve seen all types of applicants, I’ve hired directly by posting job advertisements on places like Craigslist and the HRDC (Canada Job Bank run by the Gov’t of Canada) and have even hired based on personal recommendations from agents on my team and from others outside of the team (Sales, Marketing, IT). In recent years the decision was made to use agencies as they do have access to a much larger labor pool that we do. Our company actively posts jobs on our corporate website and has started to use social media to market and promote those positions but this route will take time to generate the type of leads any contact center needs in order to ensure they also have a solid pool of applicants. In the past we looked for a warm body. Someone that could sit in the chair, and take calls. The quality of applicants was hit and miss. Not the ideal scenario given that it can take up to 3-months for an agent to become proficient enough that they are taking a high number of calls on their own without any assistance except for those oddball calls that come through. If you have hired this agent directly what is it really costing you? Your time and/or your trainers time and/or your Manager/Supervisor or Team Leads time. What are you paying them hourly? The new agents time – remember during training, they are still getting paid. Other agents time – chances are your new employee will also engage those around them when help is needed. Indirect time lost – what are you not able to complete? This is also known as missed opportunity costs. The contact center has one of the highest turnover rates of any industry – an incredible 26% of agents are replaced annually depending on the industry. Some industries may see an even higher turnover rate. Consider the direct cost to hire these individuals: most agencies charge 15% (or more) of the yearly salary to place an agent. Given an average annual salary of $32,000.00 (source: http://money.usnews.com/careers/best-jobs/customer-service-representative/salary) that’s $4,950.00 just to bring that employee in the door. If you are using an agency you should only be getting the top agents – however this may not always be the case. If your contact center isn’t paying well in relation to others operating in the area you might be getting lower quality agents from the agency. You want agents that are are driven to succeed and are naturals in the contact center. They are the ones that know instinctively what to do, how to do it and know how to fill in any time they may have between calls. These are the same folks that will become the leaders in your contact center, they are always asking for more and are always learning and have incredible critical thinking skills. These are hard to come by, and when you have a few of these you don’t want to let them go. Then you get floaters (as I like to call them – they exist everywhere, not just in the contact center). They come in, do the job and go home. They are not driven at all. They’ll take on additional work when it is given to them, but they will never seek out work. Between calls or during slow periods they can be seen chatting it up with those around them, in the staff kitchen or always on health breaks. These are not even the worst! Finally you get those that are OK. They are eager, they want to do a good job but they just don’t get it and as a result you will have issues with them all the time: sick, late, low productivity, poor performance. They have negative attitudes and spread their negativity to everyone around them which impacts team morale. If you have these in your contact center – get rid of them. If you are working through an agency, hopefully they have done their job and screened these types of individuals out and do not even send them to you – but truth be told, I am certain we have all worked with these types of people. I’ve already mentioned a few methods when looking for agents. The list could go on. Each method above has pro’s and con’s — it’s your job to mitigate the risk and find those that work for you and your contact center. 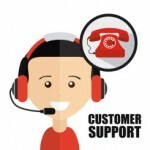 What Makes The Perfect Contact Center Agent? Over the years I’ve found that prior experience in a call center is key, when I’ve broken that rule it has been difficult to recover. You either have to let the individual go (hopefully within their probationary period) or if you find out too late and they are now permanent employees it costs you in terms of what is mandated by your Employment Standards Act — in reality this isn’t all that it is costing you, don’t forget the indirect costs where the biggest is team morale and productivity. One strategy which I’ve employed to find the perfect agent is to create an agent profile. This strategy is simple in that you detail what you are looking for in an agent. Have they worked in a call center before? Do they have office experience? While office experience isn’t a must I have found that those that have worked in an office know how to conduct themselves, they understand and can deal with office politics and know what business casual means. Great resource for behavioral questions is http://www.zendesk.com/resources/10-interview-questions-for-hiring-great-customer-service-reps – there are some awesome questions here along with “answers” (well – what you should be listening for). Once you have developed your agent profile, and have determined what your hiring strategy is hopefully you start getting resumes to fill those open positions. Working with agencies we now conduct a telephone interview first, this allows us to hear the individual over the phone and to test their language skills. The telephone interview should not take more than 30-minutes, this is the chance for you to tell the prospective candidate about the company and the position — when I conduct the telephone interview, my goal is to “scare the individual away”. I only want those individuals who are serious about the job and role to come in for a face-to-face, I don’t want tire kickers. During the telephone interview you should ask a small subset of questions from your master list, this is to determine whether you really want to meet the person face-to-face. In my contact center we focus on behavioral questions in the interview, this forces the candidate to think about a response and tie it into their work experience. While personal responses, and responses related to volunteer work are acceptable chances are the candidate will go above and beyond in those situations since they have a greater personal role. I have read about telephone screening processes where the candidate calls into an automated system or employment information line screening system which sounds very appealing, especially if you are doing more direct hires. This method allows you to screen unqualified candidates, and listen to their telephone voice. If you use this method, I would like to hear from you as to its effectiveness – contact me via Twitter, or LinkedIn or leave a comment. If the candidate has made it past the pre-screen telephone interview then it is time to bring them into the office for a face-to-face and really grill them. Remember your goal is to hire the best, and a thorough in-person interview will either scare the candidate away or they will shine as they have the experiences you need in order to be successful on the job. My goal even in the in-person interview is to see if I can scare the individual away, the questions will tell me if they are serious about the opportunity or are they filling in time until something better comes along and will be coasters. I don’t want coasters, but engaged individuals that are excited about coming to work. Many contact centers swear by agent testing, this is not something that we have implemented but it is on my radar. In lieu of this we rely heavily on the in-person interview and use of behavioral questions to learn about the prospective candidate. What project(s) did the individual work on? What was the environment like? Small or large team? What were their job duties and what technologies did they use? What was their technical performance and ability like? How are their non-technical skills? What are some of their strengths and areas for improvement? What was their attendance and reliability like? Companies which have strong HR departments or hiring and documentation processes will be able to answer these questions easily. These questions will also help weed out those candidates that decide to list their next-door neighbor as a reference because they will not be able to answer these types of questions. It may also be beneficial to fax and/or e-mail the questions and request them to be returned in the same manner so that the responses can be kept in the file for that individual. In reality you will never find the perfect candidate, they will always be lacking something which is why you want to hire for attitude and train for skills. You can train the prospective candidate on your products, services and tools — you will not be able to train them to have a better attitude. You do not want mediocre talent, as they will produce mediocre results. There are two things that differentiate CSRs – these are attitude, and aptitude. You should be looking for someone that has passion, energy and enthusiasm. Answers should roll off their tongues, and their subtle body language will tell you whether they truly have the customer service orientation that is required to be successful. Were they laid back, nonchalant when answering questions? Or did their ears perk-up, eyes widen and sparkle and grin cover their face when you asked them “tell us about a time where you over delivered to a customer” or “tell us about a time when you resolved a difficult situation and were commended by your manager”. If you have any strategies that you can share with readers, please send them over via Twitter, LinkedIn or leave a comment on this post. If you found this post helpful, share the knowledge! This was originally posted on August 8, 2014.